First of all, I had a couple comments asking how I was doing, but did not see them till this week. I had every intention of replying either by this post, or by responding on your blog. I am so sorry I did not get it done till now. I had heard something about no notifications when we get comments, but had not thought of it in relation to my blog since I had not posted...I just happened to go there and find them. Anyway, nothing like a little bling...actually they are the only flip-flops I have found that fits. I am now walking without the boot but with a cane...and every evening there is a spell where I am walking around the house without the cane even. I have some wonderful therapists that have got me this far. And look! The wound is almost entirely healed. The wound care doctor thinks this coming Tuesday might be my last day to have to go to him. Just want to post this while I have a minute...I hope all of you are having a good summer. The heat and humidity here really gets to me. But still happy to be walking, even if with a cane. Take care and continue getting WELL. Happy Day!! You are healing well. I think of you just about everyday and pray you are getting along well, and also still pray for Roger. it looks fantastic!!! so glad you can walk in a shoe of sorts. and that is is not so open and ugly... God bless those therapists. So happy you are getting better! That looks tons better! I am glad you can walk around some and healing good. PTL! That is looking amazing. I'm glad that it is healing so well. Great to hear that you are getting better! How about these summertime temperatures?? Stay cool. Good to see the wound healing! Hi Rose, just checking back to say hi. Hope you are continuing in the right direction. I ran into your post somehow and knew I had to know more details so I read older posts until I read about the accident. 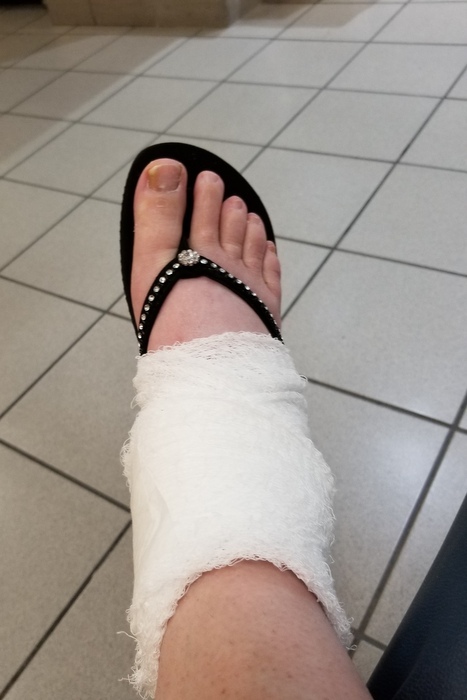 Meanwhile saw some pretty flower pictures and other interesting posts.I did not realize that slipping and falling on ice could cause so much hurt. It must have been tough. Glad that the wound is healing. I hope that you are back to walking again. Take care of yourself. Glad you are healing up fast. Thank you for stopping by and leaving a kind comment on my recent post about Chaka. Best wishes for speedy healing. 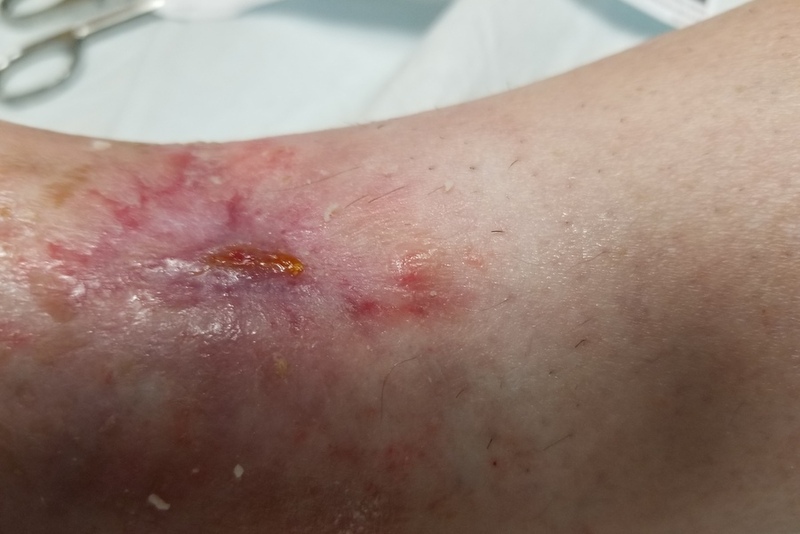 I have had my second knee done in May and ended up with an infection. So been having rehab therapy. Now still having therapy for balance. I am back on my own My Imagination a new. Not to try to keep up with my group I was in. Doing my own entries . My goodness what a terrible fall you had and then a Operation. What ice can do for you. Wow! Sorry to see this pain you must of suffered. Still looks sore. You sound your getting out and about but take your time. It is amazing how something like that can effect our mobility. I find doing the Apt stairs I am still feeling the stiffness on both knees. The Therapist still wants me to do stairs for the muscles behind the knees instead of the Elevator.